In a New York Times op-ed over the weekend, Malaysian talk radio host Umapagan Ampikaipakan called into question the entire concept of an "Asian superhero." As an Asian person who has invested quite a lot in the idea of Asian superheroes, you can imagine seeing such a piece in the paper of record left me a bit bewildered — especially because this was the year that comics featuring Asian and Asian-American heroes had finally broken through. Marvel Comics famously published "Ms. Marvel" starring Pakistani American Kamala Khan and "Silk" with Korean American Cindy Moon, and just this month, longtime sidekick Amadeus Cho graduated to lead hero status as the new Totally Awesome Hulk. Moreover, two of Image Comics’ highest profile titles in 2015 were "RunLoveKill" by Jon Tsuei and Eric Canete and "Monstress" by Marjorie Liu and Sana Takeda — both books featuring all-Asian lead characters and all-Asian creative teams. And, for the last year and a half, I’ve been advocating for Marvel Studios to cast an Asian American actor as the lead for its upcoming Iron Fist series on Netflix, a cause that has been gaining steam in recent weeks. Perhaps Ampikaipakan's editorial is the beginning of the backlash? But it's telling that "Astro Boy" and "Devilman," the examples of American comic book “rip-offs” Ampikaipakan cites, are 60-plus and 40-plus years old, respectively. I’m assuming he has also never seen "Sailor Moon" or "Gatchaman" or "Super Sentai" — known in the U.S. as "Power Rangers" — or "Dragonball Z" — which itself is an adaptation of one of the most “Asian-y” superheroes of all time: the Monkey King. "Maybe we should simply refuse to believe whiteness is the default setting for superhero comics." The idea that straight white males are the center of the universe not only permeates comics; it’s an idea that drives most of pop culture and it's why a push for diversity is necessary in the first place. Here’s the thing: superheroes aren’t the sole domain of white people. And they haven’t been for quite some time, despite what some might think. Take the "original superhero," born in 1938 from the minds and pencils of Jerry Seigel and Joe Shuster, who happened to be sons of Jewish immigrants: Superman’s adventures in Action Comics was the source code for all superheroes to follow. Coincidentally, Ampikaipakan derisively refers to Kamala Khan’s storyline in "Ms. Marvel" as “merely another retelling of the classic American immigrant experience,” and therefore not worthy of the universality of the superhero archetype. I guess immigrant experiences only matter so long as the immigrant isn’t brown. And that’s the main problem with the op-ed's entire thesis. 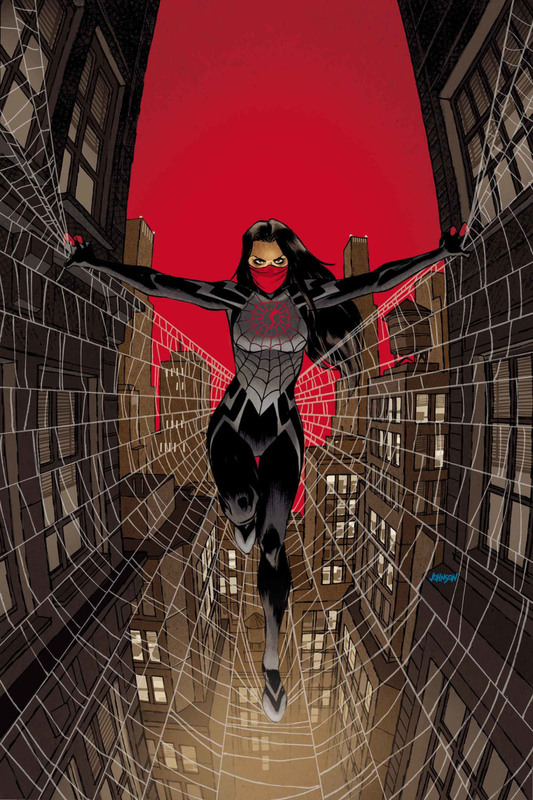 As someone who lives outside the United States and is unaware — or at least, unconcerned — with the racial and cultural dynamics within American society, Ampikaipakan’s opinion that “the Asian comic superhero is a contradiction in terms” holds little weight in the discourse around why media representation matters. It’s a mentality that Hollywood uses to falsely propagate the assumption that films and shows starring people of color will not perform well overseas, despite evidence of the contrary. Which brings me back to the idea of an Asian American Iron Fist: maybe all of the arguments we’ve made for why an Asian-American character can and should exhibit all of the traits of a traditional (read: white) superhero touched a nerve. Maybe somebody will point to this op-ed and say, “See, Asians can’t be superheroes." Keith Chow is the editor-in-chief of The Nerds of Color and a co-editor of the Asian American comics anthologies "Secret Identities" and "Shattered."